You don’t have to look far to find a new technology in the world of education, but who exactly would it benefit, or which problem does it solve? Does it support students to succeed? Does it help lecturers understand study habits? Or does it contribute to the identification of at-risk students? 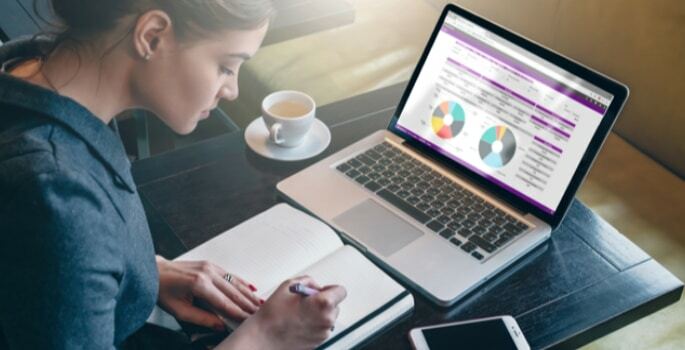 The introduction of learning analytics in the education sector has not only ticked all these boxes but has also been proven to help increase student engagement and provide a much more personal learning experience. You might be surprised to hear that the concept behind learning analytics isn’t exactly new. Teachers, lecturers and institutions have been observing and reporting on students for decades. Associating them to a student number and keeping track of their grades was only the tip of the iceberg. Traditional learning analytics are based on a ‘turnstile’ ethos, demonstrating how many times learners log into their VLE or university portal. From this, institutions have been able to identify which learners have a low log-in rate which can sometimes create incorrect assumptions such as ‘this student hasn’t logged in and so therefore must be disengaged’. This data set could be described as crude and is also the bare minimum of what we can find out by using analytics. With this being said, it creates an early identification point for lecturers to intervene, with the hope of supporting students better and reducing the risk of drop out. However, innovative learning analytics can include data on when students study, how they study and even where they study. All these aspects allow educators to find the best way to engage their students in a way that suits them. For example, if an essay was set with a two-week deadline and a student decided to ‘cram’ the essay on the night before, (which is not uncommon), the lecturer can identify this. Academics can then choose to structure the curriculum differently to help the student plan and manage their workload better. Naturally, the next question is how can learning analytics be useful for students? According to a report by Jisc (2017), 74% of students at Nottingham Trent University said that seeing their own engagement through analytics is a positive motivation and is now somewhat expected. This is further supported in an article by Nick Morrison for Forbes Magazine who states “it’s not privacy but grades that matter”. The University of the Future Report (2017), found that 47% of students also felt their grades would improve if lecturers had the ability to see how well they were doing throughout the course. Millennials and Generation Z use data to track just about everything; sleep cycles, heart rate, shopping recommendations, even what to watch on TV. Analytics provides insight into learning behaviours like never before. Furthermore, with individuals commenting nationally on whether learning analytics should be expected, is it creating the next generation of data-driven higher education? For further info, visit Kortext here.